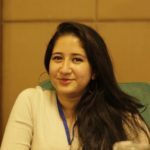 Edited, Copy Edited By Adam Rizvi: The Me Too movement (or #MeToo movement), with many local and international alternatives, is a movement against sexual harassment and sexual assault. A movement of this magnitude #MeToo spread virally in October 2017 as a hash-tag used on social media in an attempt to demonstrate the widespread prevalence of sexual assault and harassment, especially in the workplace. Tarana Burke, a social activist, and community organizer was the first person to use the phrase #Metoo in 2006 on MySpace social network as a part of a campaign to promote the empowerment through empathy who have experienced sexual abuse. She was inspired to use the phrase after being unable to respond to a 13-year-old girl who confided to her that she had been assaulted. On October 15, 2017 actress Alyssa Milano started the use of #Metoo again and encouraged in the spreading of it. After a year since Milano’s tweet and the 19 million others that followed it, the #MeToo movement in the United States and around the world and has become the object of intense scrutiny. Questions about its impact highlight a potential backlash. Anchor Jemele Hill of ESPN was suspended from her employment after she tweeted that President Trump was a White Supremacist. The rage has only risen with time and with every story it has made every citizen of United States a part of it. 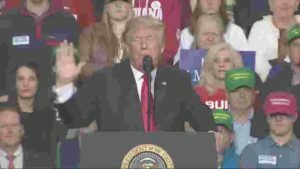 Being a part of it, President Trump at a campaign rally mocked the woman whose allegation of sexual assault has been upside down. Mr. Trump went further and directly condemned Doctor Christine Blasey Ford who accused Judge Brett M. Kavanaugh of sexual harassment. Mr. Trump makes a comment outside The White House where he talked about it men and said: “ It’s a really, really scary time for men and you can be accused of something you have not done and your life is over.” More than 50% of white women had voted for Donald Trump, Hillary Clinton received the votes of almost 90 % percent of black women, and more than two-thirds of Hispanic women, Most of the Asian American women also voted for Clinton. Since then the hashtag has become a loud cry against the sexual assault on the social media making multiple women coming out with their #MeToo stories. 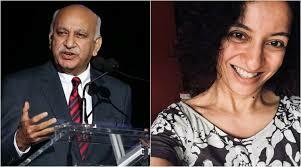 Several women journalists like Priya Ramani, Ghazala Wahab, and Shutapa Paul also accused former Union Minister M.J. Akbar but it was Tushita Patel who came out with a detailed account of the sexual misconduct by Akbar when he held senior editorial positions at various organizations. The court has fixed October 31 for the next hearing until then 20 women journalist have come out in support and urged the court to hear their testimonies against Akbar. 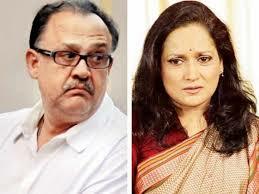 On Wednesday Akbar also resigned as Minister of State for External Affairs. It is time for women of all colors and cast to think and vote and make sure that they are not just getting a Jumla of lip service of Beti Bachao, women are not megalith. Political choices, of course, aren’t the only way to by which to judge the views and desires of groups—but they can give an indication of broad priorities.